Notepad++ is one of the best note writing applications, available for Microsoft Windows, and it is by far the best alternative for ‘Notepad’, which is available for Windows computers. Notepad is not only used taking and writing notes, but it is also used by programmers to write codes, and check them. 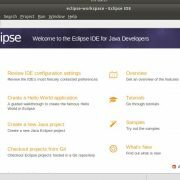 But, Linux is one of the most favorite platforms for those, who code, but Notepad++ unfortunately is not available for the platform. 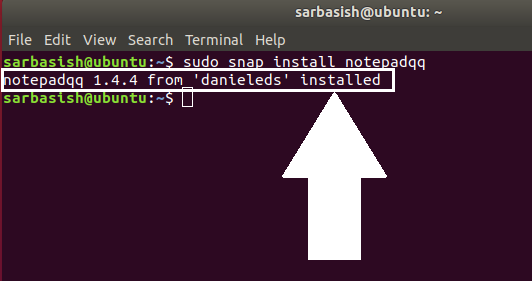 But today, I will be discussing how to install Notepadqq on Ubuntu. Notepadqq is the best alternative for Notepad++ on Ubuntu and other Linux distributions, and you can easily download that, using the command line or Terminal on Linux. Notepadqq for Linux is available from the ‘Snap’ repository, and if you are not having ‘Snap’ repository, you should get it first, before you proceed with Notepadqq download and installation. ‘Snap’ repository is present in Ubuntu by default, and you should not face any issues, downloading any package from the ‘Snap’ repository. 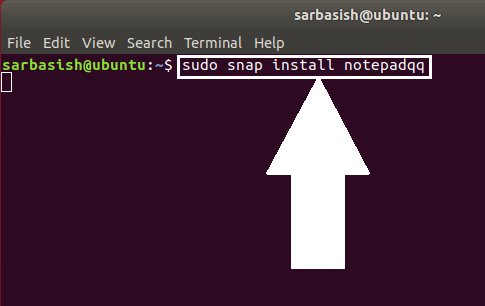 If you are using any distribution where ‘Snap’ is not available, you should get it first, before proceeding with the installation of Notepadqq. 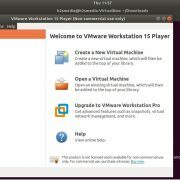 Note: The steps of installation shown in the tutorial are same for Ubuntu 14.04 LTS, Ubuntu 16.04 LTS, Ubuntu 17.10 and Ubuntu 18.04 LTS. Step 1: Open the terminal command line, and type ‘sudo snap install notepadqq’, without the quotes, and hit the enter key. 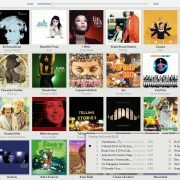 Step 2: The download and installation will take quite some time, and you should wait, till the download completes. Step 3: Once the installation completes, you will get the following screen. You can open Notepadqq either from the ‘Terminal’, or you can even get it from the ‘Search your computer’ section and by searching for Notepadqq. You can get almost all the features of Notepad++ on Notepadqq, and thus, it will not be wrong, if you call Notepadqq the most ultimate replacement of Notepad++ on Linux. Though Notepadqq doesn’t offer all the features, which are available on Notepad++, but it is still a great alternative for Notepad++. The option to define a new language is not available on Notepadqq, which is a feature available for Notepad++. The user interface, the basic features are quite same, and thus, you will not face any problems getting started with Notepadqq, if you have used Notepad++ a lot. For coding and taking notes on Ubuntu or any other Linux distributions, Notepadqq will help you in almost all the cases. Here is a screenshot of Notepad++ and Notepadqq, side by side. You can observe the differences in the above image, but the differences, for sure, is not going to be a deal breaker, if you have made up your mind to download and install Notepqdqq. Hope the small tutorial to install Notepad++ alternative for Ubuntu, or Notepadqq, was helpful for you. 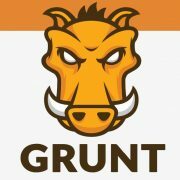 If you face any issues installing it, let me know, in the comment section.